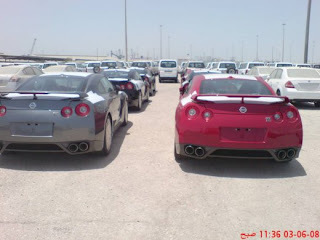 Home > R35 > Left hand drive R35 GT-R 's in Abu Dhabi. The first delivered R35 GT-R's in left hand drive according to the information that Kris at GT-R blog has put out. 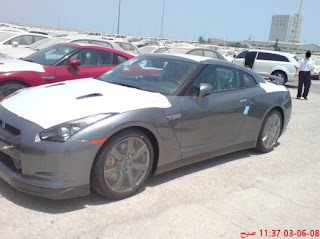 "These GTRs have been officially Distributed by Nissan Middle East to Al Masaood Automobiles in Abu Dhabi and come with their warranties. The white car is going to be the first GT-R police car in the world. The other cars have already been delivered." The US spec cars can not be too far away now. I should go to the port and check it out. Might be some there already.